Calm, Confident and Clear; Using Gymnastic Exercise to Benefit Your Horse. This DVD covers many exercises from the ground and in the saddle to help horses advance their individual athletic abilities. Ginger uses her approach of “French Natural” horsemanship to educate both riders and horses using classical gymnastic techniques. 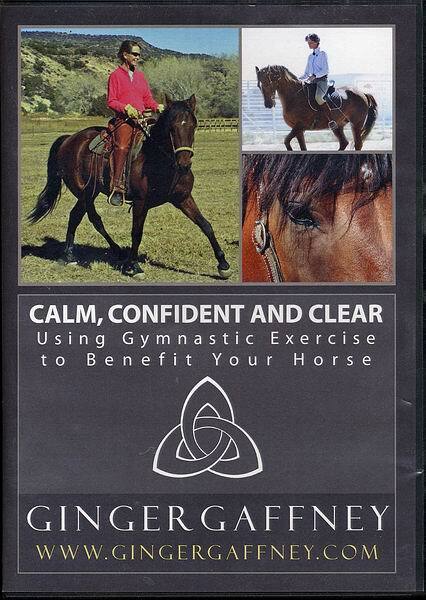 - Groundwork to help your horse learn to bend and become supple through his whole body.